March 2017 is something of a landmark for me, so here is a short piece of writing (and a few old pictures) all about it. 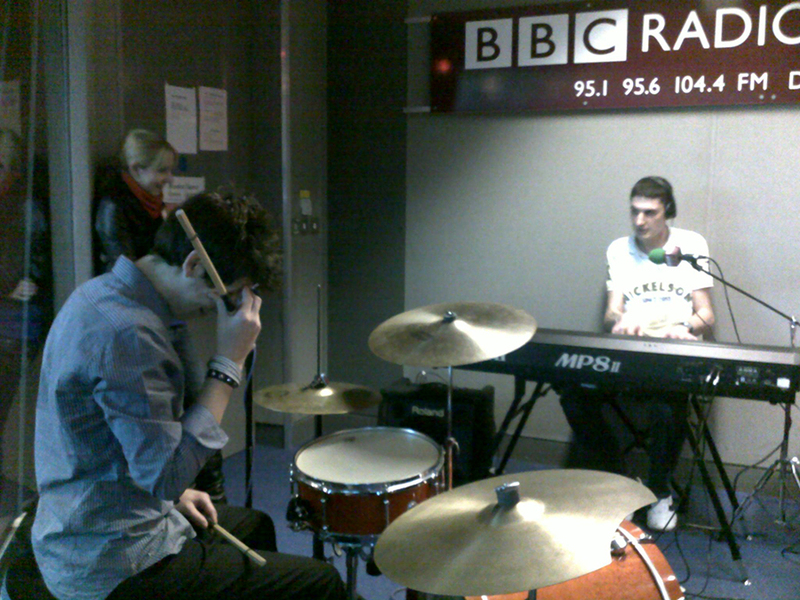 Cardiem live on BBC Radio Norfolk, 2009. It was back in March 2007 that I officially declared myself ‘a professional musician’. Nothing materially changed for having said it, of course – I was still doing one gig every few months, teaching two or three private students, and earning very little – but it meant something to have said it, to have ‘made it official’. It was a line in the sand. 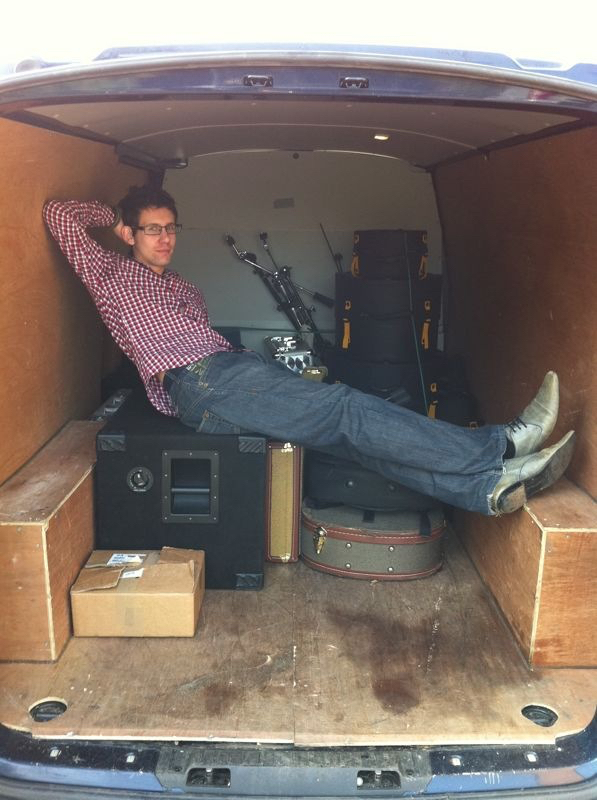 ‘Loading’ the van – on tour with Axel Loughrey, 2010. I registered myself officially self-employed not long later (although it would be another couple of years before I was earning enough for that to have any real tax implications), and I joined the Musicians’ Union. And I resolved not to give in to any of the pressures to get a ‘real job’ (even just while I was building up my income from music). In the ten years since then, I have gone from intermittent gigs and two or three students to having a thriving business gigging, recording, teaching, writing and arranging music (and – yes – doing actual tax returns). 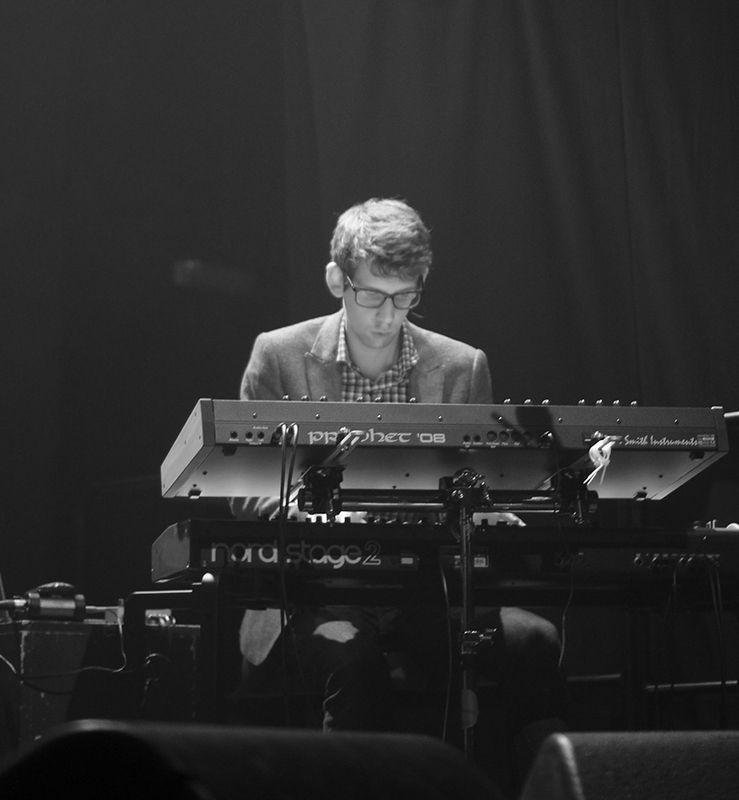 Crystal Bats at Norwich Arts Centre, 2013. I have learnt a lot, improved as a person and as a musician, developed new skills, and done things I never expected I’d be able to. And along the way, I have played some huge shows, made some really fun records, I have recorded tracks at my own studio, and seen my students go on to study music at university and start to build their own successful careers in the industry. 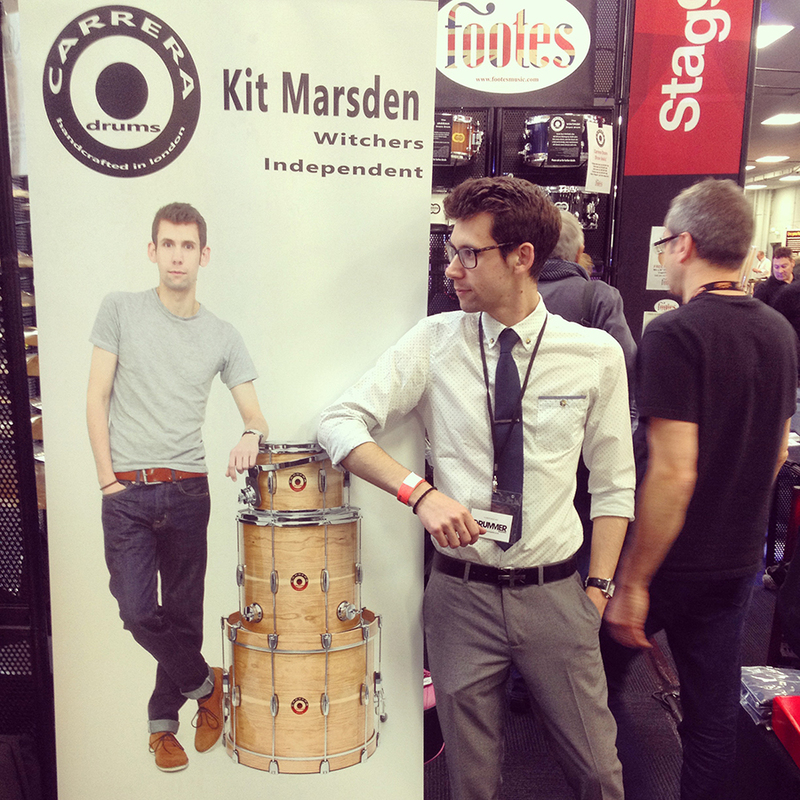 Showing the Carrera Cherry Custom at London Drum Show 2014. Too many people to mention have helped me, supported me and given me advice in that time. But a few who deserve mentioning in particular are Rory Marsden, Simon Dring, Chris and Kelly at PXP, Ivan at Pellwood Drumsticks, and Dave Carrera. 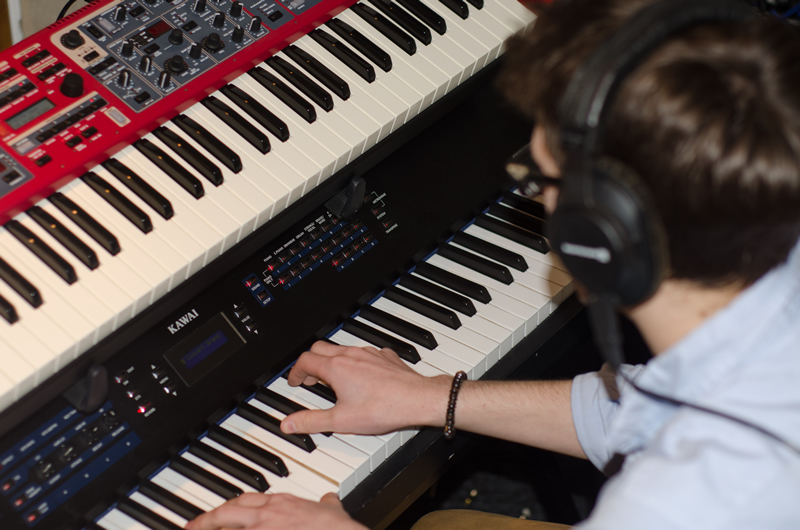 Recording keys for Jamie Roe Band, 2015. There is so much left to do, and so many more goals I want to achieve… The last ten years have been hard work, incredibly difficult at times, and the whole thing has often seemed hugely daunting – but most of all, they have been more fun, and more rewarding, than I could have ever hoped. Which is why I can’t wait for the next ten years. Fantastic Kit! What an achiever you are! I am so proud of you, and so pleased to have been able to help. Thank you for the acknowledgement too. And hasn’t it all be worth it?! *So* worth it. And thanks, again, for everything! Here’s to the next ten years! Copyright © 2019 Kit Marsden // Musician. Powered by WordPress. Theme: Esteem by ThemeGrill.